Dr. Keller, your local Simi Valley Dentist and graduate of the University of Southern California School of Dentistry, is here to serve you. There are many dentists in the area, but with Dr. Keller’s advanced training in orofacial pain and other dental services, paired with his caring manor, you will leave educated and with solutions. He brings years of clinical excellence and academic cutting edge techniques and methodology to his practice. Dr. Keller specializes exclusively in state-of-the-art dentistry. Among other cutting edge practices, digital imaging is utilized to enhance our diagnostic abilities, reduce radiation exposure and is environmentally friendly. It is important to us that you understand your diagnosis and treatment options, so we review together the digital x-rays and evaluate the intra-oral photos on flat screen monitors. Dr. Keller utilizes only the gentlest techniques as treatment is delivered to patients. Laughing gas (nitrous) is available for your extra comfort and twilight anesthetic (IV sedation) is an option as well. 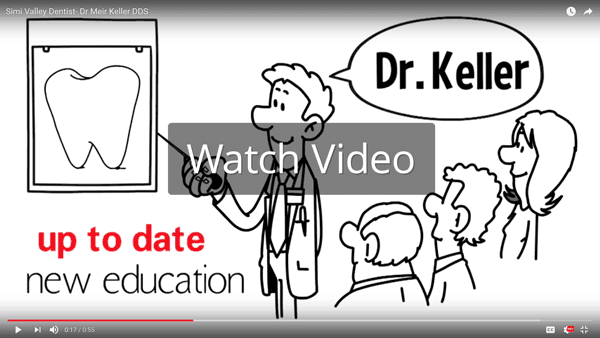 Dr.Keller, a USC graduate, introduces a new and fresh approach to the dental experience. Your comfort is very important to us. 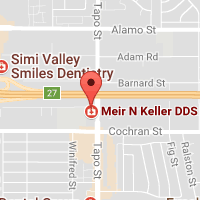 Dr. Keller goes to great length to provide the pain-free and stress-free experience that you are looking for in a Simi Valley Dentist. To that end, special numbing techniques are used to avoid any discomfort. Nitrous Oxide (laughing gas) is available as well as IV sedation (twilight sleep). A numbing reversal medication, reducing the numbing time can be administrated at the end of the appointment for your comfort. He performs cutting-edge dentistry using state of the art technology. A unique dental laser is used to minimize any sensitivity, eliminate bacteria and infections and allow for smaller fillings, ultimately extending the life of the restoration. In addition to the natural looking, cosmetically pleasing restorations (veneers, porcelain crowns, and white, metal free fillings), Dr. Keller brings much, much more. 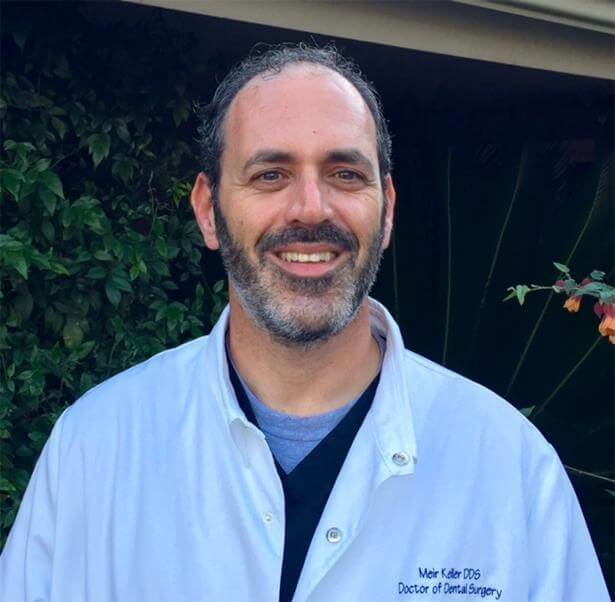 Years of advanced training and expertise in treating TMJ, Trigeminal neuralgia and related facial pain as well as dental sleep medicine and snoring have led him to the upcoming prestigious master’s degree from USC in Oral Medicine and Orofacial pain and a specialist status in the field. This approach of putting patient’s health and well-being before any other consideration led Dr.Keller to establish a dental department in the Simi Valley Free Clinic. For years Dr.Keller volunteered hours in the capacity of director and dentist providing free dental care in addition to managing the staff, facility, and volunteers. Extensive experience in the dental implant discipline, surgically placing and restoring, places you, the patient, at an advantage. Dr.Kellers expertise allows the process to run smoothly with excellent and expedient results. He has been rewarded a fellow status from the International Congress Oral Implantology as well as membership in additional Implant societies. He will put you at ease, reviewing together the exam results and together deciding how to proceed. Dr. Keller can be contacted directly at drk@kellerdentistry.com or at 805-527-2266. Being proud of your smile is important. Our Simi Valley Dentist will make sure to practice the most healthy and beneficial dentistry to make sure your smile is one to show off. Our dental implants have an outstanding success rate and are sure to fill in the gaps that you have in your smile. When one or more teeth are missing, this treatment is incredibly beneficial. Using veneers (thin porcelain facings attached to the front of your teeth) will enhance their appearance, color and shape! Crowns are used on top of the tooth for the same reason. Dr. Keller not only is a professional Simi Valley dentist, but also is specially trained to treat facial pain caused by the temporomandibular joint connecting the jaw to the skull. Through a series of about three visits, our office will make sure to clean, disinfect and fill the tiny canals in your tooth. Most patients experience little to no discomfort or pain! Has some of your teeth been chipped or damaged over the years? We can not only fill in those cracks, but prevent your teeth from further damage. Utilizing the best technologies, we make sure that your regular exams are not only comfortable and reassuring, but also high quality and beneficial to you. Dentures don’t have to be a bad thing! We get your personalized set of dentures ready within just a few weeks so you can get back to smiling and being confident! If one or more of your teeth are impacted, damaged, diseased, taking up too much space, or decaying, extraction may be the best option for you. Your dental health is important to us! That’s why we make sure to keep your teeth sparkling and fresh with regular and deep cleanings. You’ll be smiling for days! I am constantly impressed with the high level of professionalism at Dr. Keller's office. I appreciate the use of current methods of treatment and the constant striving for perfection. Outstanding work. My friend convinced me to try Dr. Keller and I am so glad I did. He is very knowledgeable, kind, funny, has a great team, and the hygienist Liz is wonderful. I used to be fearful of the dentist, especially since I needed so much work done, but Dr. Keller makes it practically painless. Great dentist! Nice facility and very helpful staff. Highly recommended! I have been a patient for about 5 years and Dr. Keller has been consistently wonderful. So happy with dentist and staff! © 2019 Dr Keller DDS. All Rights Reserved. Website Design By: EZ-NetTools.com.